Water samples collected from 33 government schools have failed purity test. The Health Department collected the water samples from 44 schools last month. Water samples of a majority of schools have been declared unfit for consumption. The State Excise and Taxation Department has stepped up vigil at the city railway station ahead of Diwali. It has decided to put up more barriers to plug escape routes at the station. A disco jockey (DJ) reportedly committed suicide by hanging himself from a ceiling fan at his house in Santokh Nagar, Saleem Tabri area. The police said the incident took place early morning today. The Secretary, Local Government, Punjab, Ashok Gupta, has asked the A–Z company to submit its operational plan to the department within one week or else be ready to face the music. This is a kind of final warning to the company as residents, councillors and even the civic body authorities have expressed “displeasure” over the way the company was working in the city. Wife of an IAS posted in Delhi, who had been missing for the past few days, was found at a farmhouse on the Tajpur road here. The ongoing tussle between the Ludhiana Improvement Trust (LIT) and the Punjab Water Supply and Sewerage Board (PWSSB) has cost 24 employees dear. MC Commissioner Pradeep Aggarwal today stated that he would write to the state government asking it to act against building bylaw violators. Led by activists of the Punjab Kisan Sabha, a group of farmers and farm workers commenced a 24-hour hunger strike in front of the office of the Deputy Commissioner at the Mini-Secretariat to press their demands. Produced by Captab Entertainments and Yash Raj Mittal, Punjabi film ‘Idiot Boys’ will be released on September 26. Directed by Anandd and written by Prof PS Nirola (writer of Shaheed Udham Singh and Wangaar Fame), the film marks the debut of lead actors Surmeet, Rammi Mittal and Diljott. 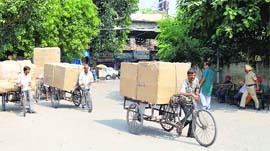 Due to the dissolution of civic bodies in the region a few months ago, grievances of residents regarding provision of basic amenities are going unheard. Recently appointed sub-divisional magistrates at Raikot and Payal have, however, launched coordinated movements to improve functioning of offices falling under them. Even months after identification of death traps, technically termed as black spots, the administration has failed to take preventive measures to check increasing incidents of vehicular accidents on the Ludhiana-Malerkotla road. Ludhiana: The Gulzar Group of Institutes welcomed the batch of 2014 by organising a cultural and literary extravaganza, “Anubhav-2014”, on the campus. More than 2,500 students from various streams of engineering and management participated in various events: mime, skits, dance performances, marshal arts, gatka and singing. While the first semester examinations have started at schools affiliated to the Central Board of Secondary Education, students of schools affiliated to the Punjab School Education Board are already appearing in the half-yearly examinations. Ludhiana: To equip extension officers with leadership skills, the Punjab Agricultural Management and Extension Training Institute (PAMETI) organised a five-day workshop on leadership development at Punjab Agricultural University. The extension officials from the state agriculture and allied departments participated in the workshop. 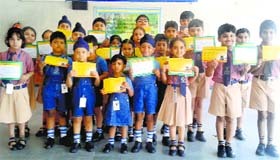 Ludhiana: Jesus’ Sacred Heart School hosted the first phase of “Melange—A Kids’ Fiesta for Preschoolers”. 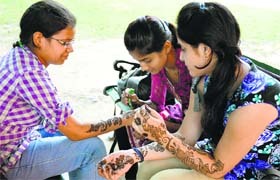 The event saw children from 30 city-based preschools take part in innovative cultural and aptitude-based activities. School chairperson Amarjeet Kaur Sehgal was the chief guest. The local chapter of the Federation of Indian Chambers of Commerce and Industry Ladies Organisation, organised a fashion show to create awareness on breast cancer and salute the spirit of its survivors and fighters. The rate of crime is increasing in Doraha. While the complainants have been lodging formal complaints but, the police are yet to make any headway in these cases. Some unidentified persons broke into the house of a financer in Jagraon last night. The thieves allegedly decamped with gold ornaments worth lakhs. 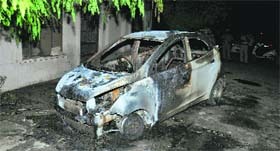 The thieves also stole Rs 16,000 cash and some other valuables from the house. The Sandaur police have nabbed a shop owner of Kutba village in Sangrur district for allegedly trying to divert ration meant for distribution among poor people to black market. A woman doctor allegedly tried to commit suicide by consuming poison at a hospital this evening. In reply to hosts Ludhiana’s first innings total of 353 runs, Jalandhar began on a sound note, finishing second day’s play at 140 for 2 in the Inter-District Senior Punjab State Cricket Tournament for Katoch Shield at Punjab Agricultural University. Anand Sharma excelled with the bat while Arush performed well with the ball to enable Lala Lajpat Rai DAV College, Jagraon, to register a facile victory by 142 runs over Samriti Science College, Jagraon, in the match played during the ongoing Panjab University Inter-College Cricket Tournament.